MSF is currently responding to the consequences of fighting in various locations north of the disputed border district of Abyei, in Sudan. The latest outbreak of violence began on Sunday 27 February, some 20 kilometres north of Abyei town. Since yesterday, tens of thousands of people have fled the town, leaving it mostly empty. MSF’s upmost concern is to be able to reach and treat all patients impartially. The MSF hospital in Agok, 40 kilometres south of Abyei, received 21 wounded patients during the afternoon and evening of Wednesday 3 March. All patients had sustained gunshot wounds; three required surgery. All have now been stabilised. The MSF team in Abyei also made a donation of drugs and equipment to the Ministry of Health hospital in Abyei in support of their efforts to treat wounded patients. MSF is particularly concerned for the wounded seeking medical care in the north of the Abyei area, some of whom have been evacuated to Muglad hospital. MSF is currently in discussion with authorities to provide assistance to the people most in need in this area. Although the situation remains relatively calm today, the team reports that tensions remain high in Abyei town and surrounds. MSF mobile teams from Agok and Abyei are conducting assessments in the Abyei area in order to respond to the medical needs of the population displaced as a result of the fighting. MSF staff in Agok are on standby to respond to a further influx of wounded should the fighting continues. 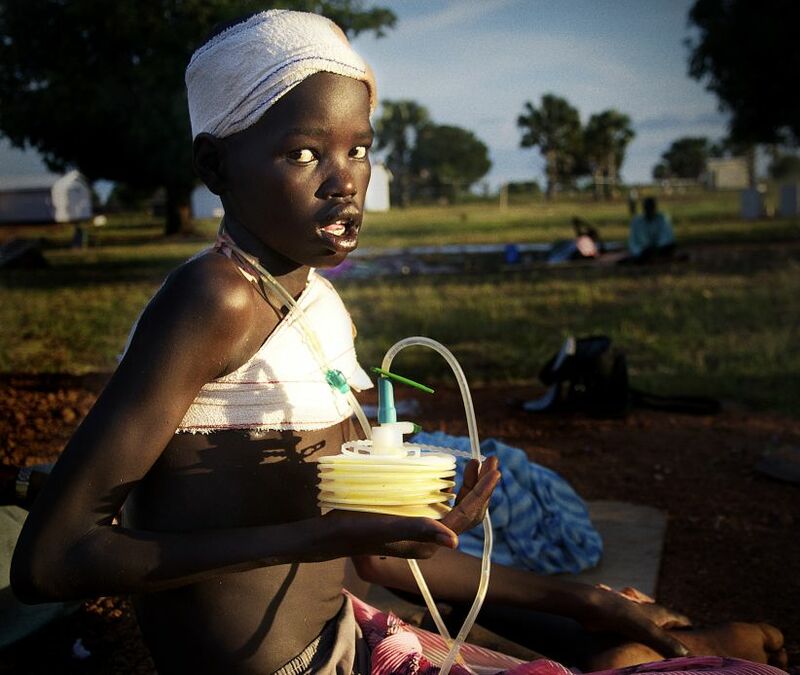 MSF has been working in the Abyei region since 2006. In response to clashes which occurred in 2008, forcing thousands to flee south, MSF set up a hospital in Agok. Now, MSF provides primary healthcare services in Abyei town, including antenatal care and treatment for malnutrition. In 2010, the team has provided 18,534 outpatient consultations. Deliveries and other serious cases are referred to the MSF hospital in Agok, which provides a wide range of services including surgical, maternity, inpatient and outpatient care, a paediatric unit, a tuberculosis ward and a therapeutic feeding centre for malnourished children. Since January, the hospital has been equipped with a full operating theatre. In 2010, 31,199 outpatient consultations were carried out. MSF has been providing emergency medical humanitarian assistance in Sudan since 1979. MSF currently runs 27 projects across 13 states of the country.